I really liked this article from Australia’s Herald Sun yesterday, about the relationship between money and happiness. As you’d expect from that part of the world, it gets straight to the point; over a certain amount, money doesn’t make you happier. The article suggests that what people who work hard really want is more time, and advises that the way to create more time is to ‘outsource’ all the jobs that someone else can do for you more cheaply than you can do them yourself. OK, that’s logical to me so far. But then it goes on to say that you should use the extra time you’ve created through outsourcing to “focus all your energy on bringing home the bacon…..After you’ve hit the economics of enough, money has little use, other than as a tool to allow you the economic advantage of creating the life you want with the limited time you have left”. Hmmm? Run that one by me again? 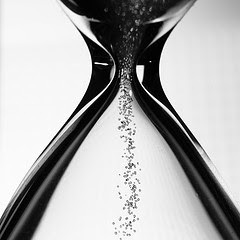 Surely if time is so precious the last thing you want to be spending it doing is more work? Unless, of course, you’re absolutely passionate about your work, and have the kind of job that you’d do even if you weren’t paid at all. Which is really my point – wouldn’t it be better to find a job that you enjoy doing, where you can use your strengths every day, and which brings out the best in you? It might sound a bit pie-in-the-sky, but it’s perfectly possible for the vast majority of people to achieve this with a little coaching support. You just need to know what your strengths are.